Here’s an amazing dance routine that came at the end of a Bunheads episode. I’ve watched it over and over. Watch it. Isn’t it mesmerizing? Between this and So You Think You Can Dance and some great dancing on Glee (and other shows) I got the idea: we need a 24/7 dance channel. Everyone and all groups could participate—ballet companies, dance companies, hip hop dancers, all street dancers, ballroom, high school groups, children. There could be contests, and the dance equivalent of open mike night: Open Dance Night. I’m sure there are tons of archival footage of dance over the years (and since we’ve had cameras to film dancers). So we could have a Dance History show. And a famous movie dance routines show, and a tv dance routines over the years show. Oh, and tv dance classes! Seriously, I’m sure I could come up with an idea for show a minute. It could be great!! I’ve been meaning to post this link. AMC was at war with … some cable provider, I forget who, and so they let some zombies loose in New York City and filmed it. Very funny. The make up and zombie-attitude is so good I would have screamed. 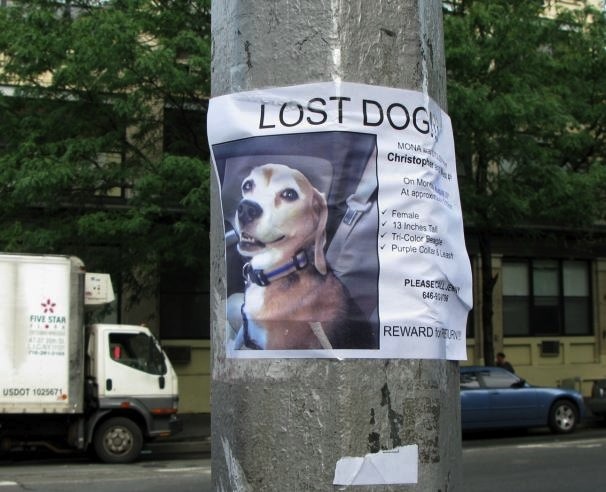 There’s been way too many lost pets posters lately. Dogs, cats, and even one for a bird (I have to imagine that would be the hardest one to find and get back). Oh, it’s an amazing dance! Don’t hold their body types against them!